Liquid Magics Powder Detergent is a Unique and Powerful formula that cuts through grease, oil and baked on spills. 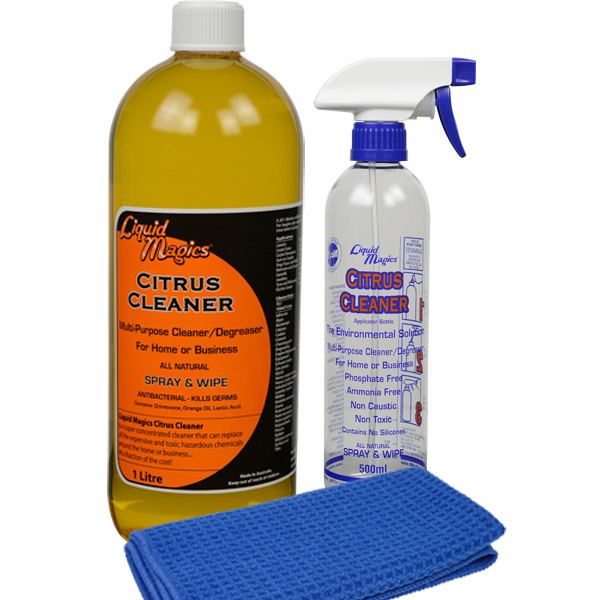 Leaves exhaust fan filters sparkling clean and removes odor causing bacteria leaving a fresh citrus fragrance and a reduced fire risk. Liquid Magics Powder Detergent is also safe to use on conventional oven grills, oven racks, garage floors, grease traps and on any oily or greasy surfaces. 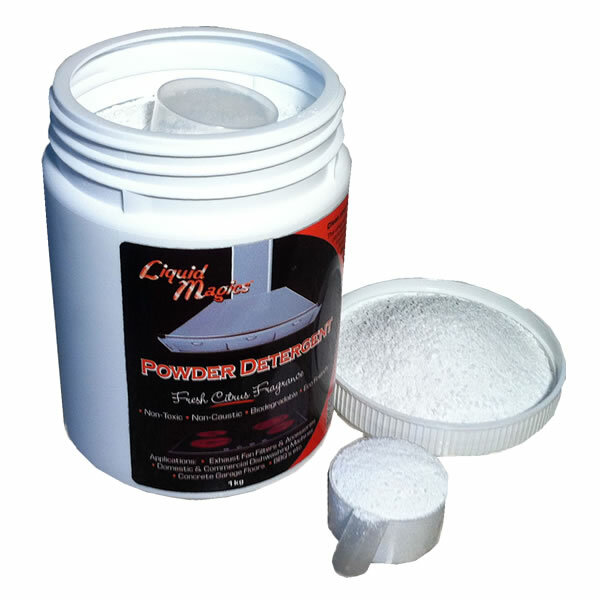 The unique characteristic of Liquid Magics Powder Detergent is its capability to completely and quickly emulsify and strip away any dirty, oily or greasy covered items at home or work. The purpose of exhaust fan filters is to collect grease and oil particles from the atmosphere created whilst cooking. So if these filters are doing their job correctly, they’re going to look and feel very greasy and oily. Over time these filters may become so blocked with grease and oil that they lose their effectiveness, which is why it's important to regularly clean these filters. Every time you cook on the stove top grease and oil particles get trapped in your exhaust fan filter. And If not cleaned regularly this grease trap soon becomes a breeding ground for germs and bacteria plus a fire risk. 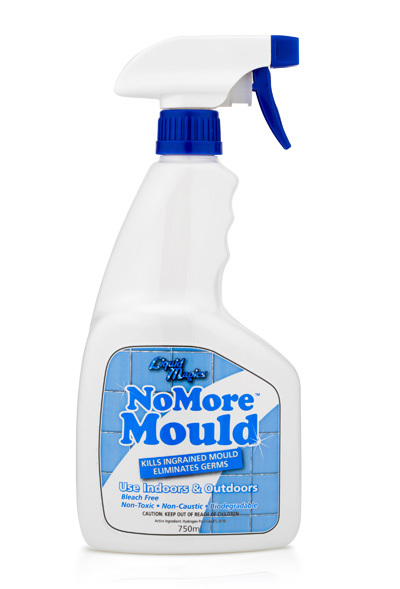 Thankfully, cleaning them is not that hard anymore! 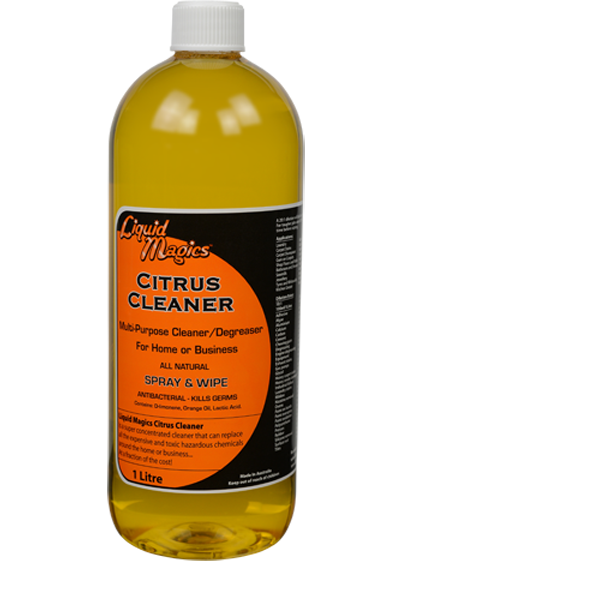 Remove the filter to be cleaned and spray liberally with Liquid Magics Citrus Cleaner 10:1 solution. 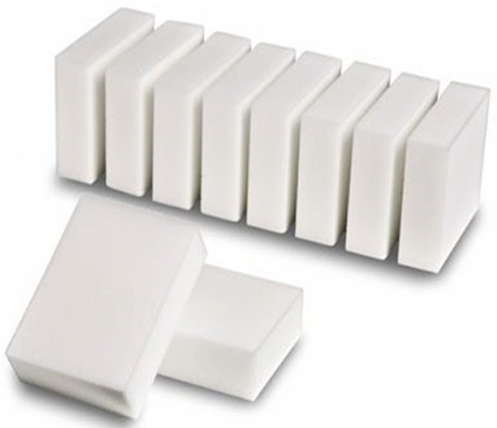 Place 25grams or 2 tablespoons of Liquid Magics Powder Detergent into a tray and fill with 1 litre of boiling hot water and stir till dissolved. Place the filter to be cleaned into the tray and cover with boiling hot water until submerged. Leave to soak for 5 minutes. Remove the filter from the tray and rinse with water. Avoid contact with the eyes and sensitive skin. Wear rubber gloves and eye protection to protect against burns from boiling hot water. For advice contact the Poisons Information Centre, phone 131 126 or a Doctor. If in contact with the eyes hold eye lids apart and flush the eye continuously with running water. Continue flushing until advised to stop by the Poisons Information Centre or a Doctor or for at least 15 minutes.